Branded cigarettes and packs of ten will no longer be on sale from this weekend as new laws controlling the look and size of tobacco products are fully enforced. 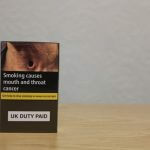 Only ‘plain’ packs, cartons of 20’s and 30 gram roll-your-own tobacco pouches can be sold as full bans on branded, attractive and small size packets take effect across the UK. 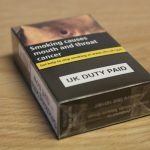 In May 2016 it became law for all tobacco products to be sold in a ‘standardised’ brown packaging. Retailers were given a one year transitional period to sell stock which didn’t comply with the new rules but this time ended on Friday (19th May 2017). 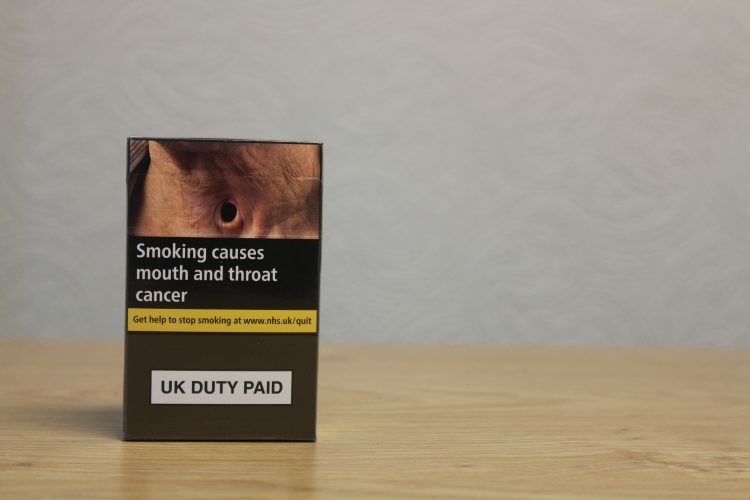 Plain packaging removes the tobacco industry’s last form of advertising and makes smoking less appealing to children and young people. Large pack sizes make smoking more costly and this standardisation means the cheapest pack will be £8.82 – making them less affordable for young people. All packaging must now be in the ‘world’s ugliest colour’ known as opaque couché and 65% of every product must be covered in pictorial and text health warnings. In addition to this, no branding is allowed other than the product name in a standardised font and no other trademarks, logos, colour schemes or graphics are permitted. Research from Australia, who implemented the same plain packaging in 2012, has shown that consumers now perceive their cigarettes to taste worse, be of lower quality and were more likely to ask for help to quit smoking altogether. Chief Executive, tobacco control campaign group ASH Wales Cymru, Suzanne Cass, said: “Existing smokers know which brand they smoke, the only reason cigarettes are made to look attractive is to appeal to new young smokers. Young people are the tobacco industry’s target audience – the next generation of smokers. Anything we can do to stop them from becoming addicted can only be a good thing. Evidence from Australia also found a reduction in smoking of 0.5% up to one year after the policy was introduced; translating to 100,000 people no longer smoking, says the Australian Government. They attribute the decline specifically to plain packaging after taking into account the continuing drop in the numbers of smokers due to other tobacco control measures.